MADISON – With below zero temperatures forecasted through next week, the Wisconsin Department of Agriculture, Trade and Consumer Protection (DATCP) is warning pet and livestock owners to protect their animals during extreme cold. Food: Outdoor animals will need more food than usual and at good quality to produce body heat. As a general rule, nutrition requirements increase about 1 percent for every degree the temperature falls below 20 F. For horses, nutritional needs increase at temperatures below 45 F.
Water: Provide access to fresh water daily – frozen streams or snow require an animal to use body heat to melt it. Stock tank heaters and frost-proof waterers can help protect water from freezing. If you do not have a heated bowl, fill the bowl with lukewarm water at least twice a day. DATCP’s Division of Animal Health monitors animal health and disease threats, promotes humane treatment of animals, and provides licensing and registration regulation for animals in Wisconsin. 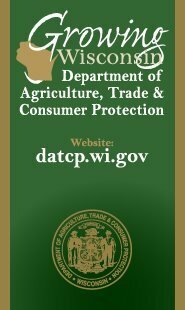 For more information about caring for animals in extreme weather visit DATCP’s website at https://datcp.wi.gov/Pages/Programs_Services/PetsWeather.aspx.